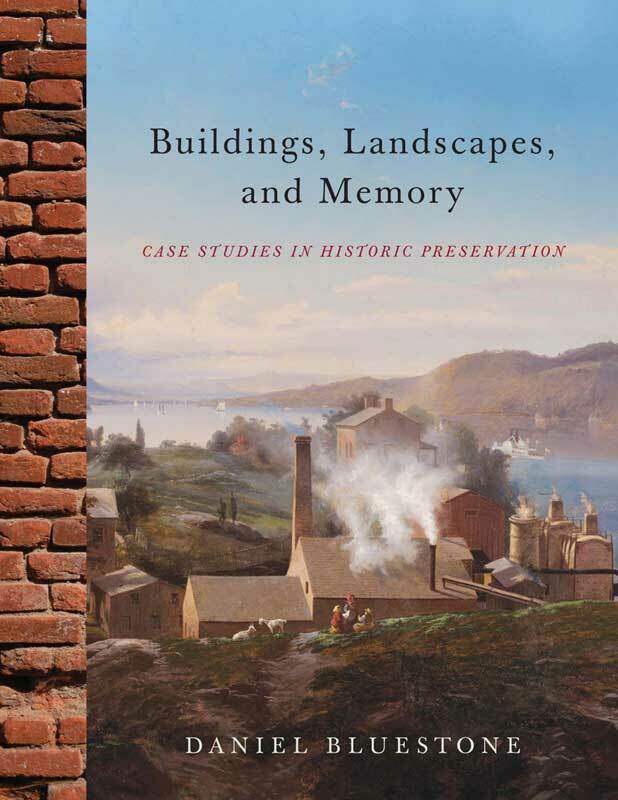 Daniel Bluestone, Buildings, Landscapes, and Memory: Case Studies in Historic Preservation, book. Exploring ten extraordinary places, this provocative analysis of historic preservation's past and future will transform contemporary understanding of the movement. This book examines assumptions about why history, heritage, and place should matter. It ranges from a discussion of the commemoration of place in the Marquis de Lafayette's triumphal tour of the United States in 1824-1825 to speculation about the cultural and political import of interpreting history on superfund toxic waste sites. Educated at Harvard College and the University of Chicago, Daniel M. Bluestone is a specialist in nineteenth-century American architecture, urbanism, and historic preservation. He received tenure at Columbia University in 1993 and has since directed the University of Virginia's Historic Preservation Program for the past fifteen years. His book, Constructing Chicago, received the American Institute of Architects International Book Award and the National Historic Preservation Book Prize. Bluestone has worked extensively in community preservation and public history. With the Historic Chicago Bungalow Initiative, he developed the thematic nomination for the listing of 80,000 Chicago bungalows in the National Register, part of an effort to revitalize Chicago's bungalow-centric neighborhoods. In 2007, he shared in the National Trust for Historic Preservation's Award for Excellence for the rehabilitation of Bertrand Goldberg's Raymond Hilliard Center. He has also been honored as part of the "C-Ville 20" for his leadership in the Charlottesville area's historic preservation.